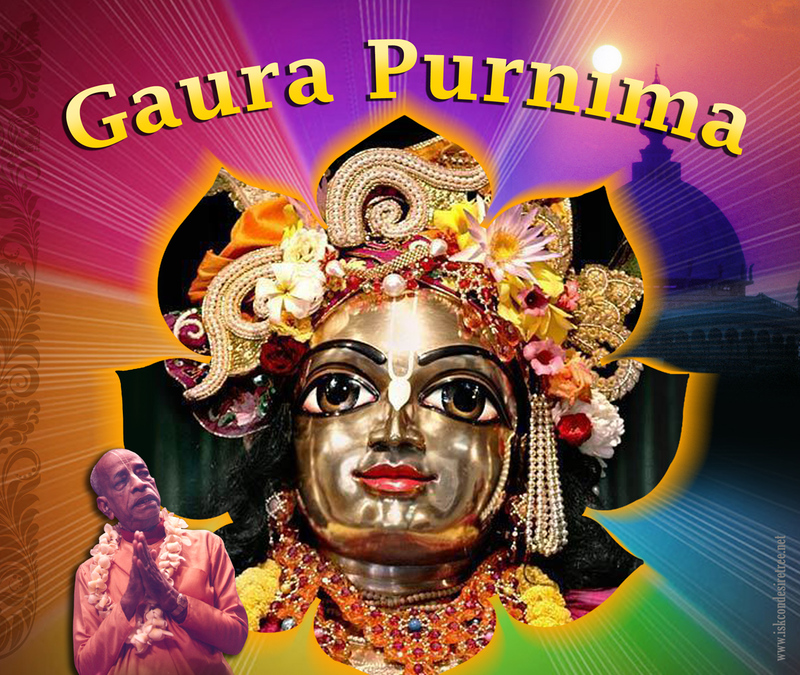 Sri Gaura Purnima celebrations on Thursday March 1st! Please join us with your loved ones on Thursday 03/01 to celebrate the most auspicious appearance of Lord Sri Chaitanya Mahaprabhu. 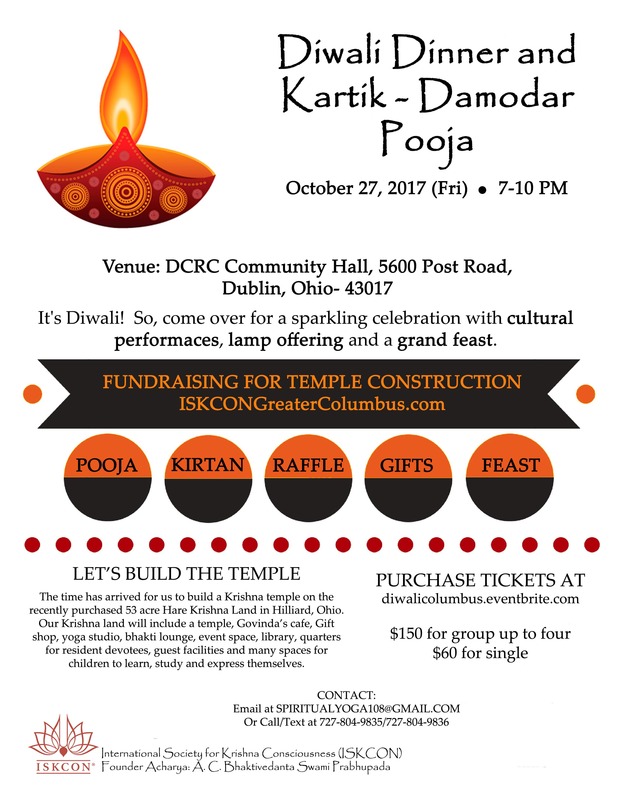 Below are the details of the festivities. We humbly request all of you to participate in the festivities and get eternal blessings of Lord Chaitanya. 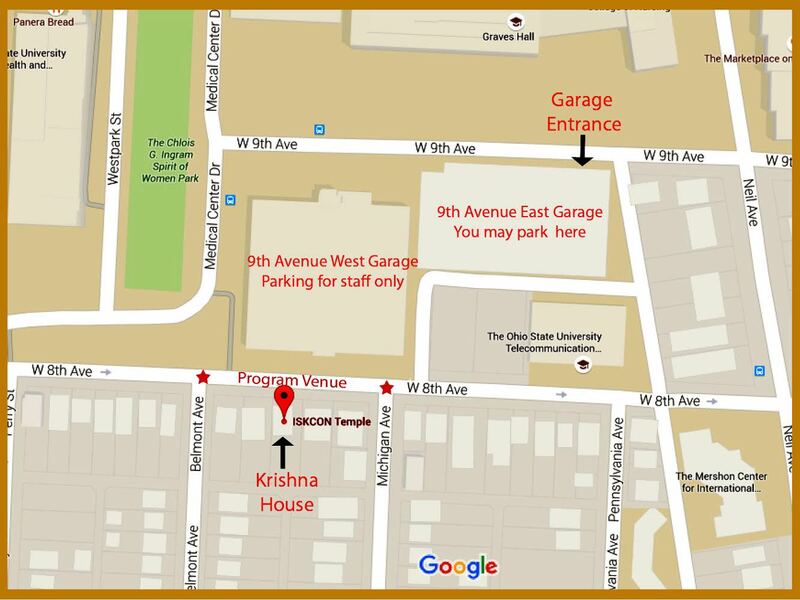 Please inform all your friends who understands Hindi and invite everyone to this wonderful Bhagavat Katha event. 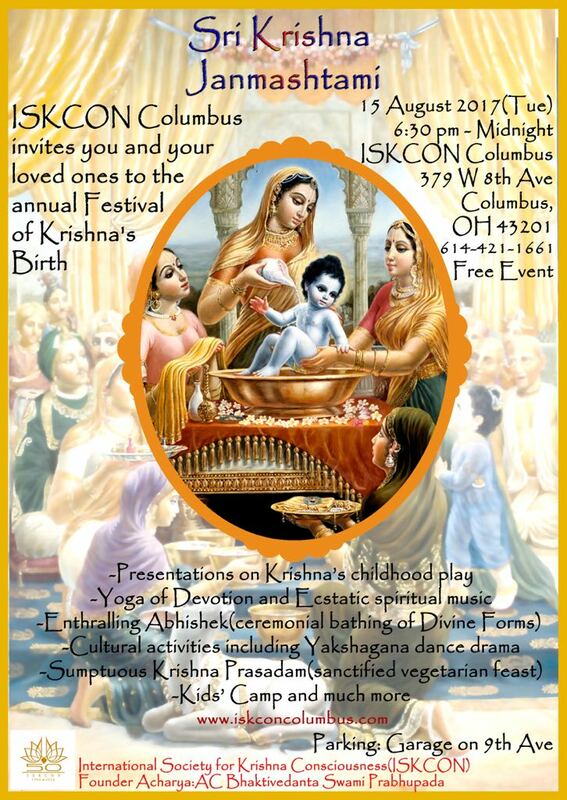 We would like to invite you and your loved ones to celebrate the most auspicious occasion of Sri Krishna Janmastami, the divine appearance of Lord Krishna on Tuesday 8/15. To RSVP please call / text us on 727-804-9835 / 727-804-9836 or email us at iskconcolumbus@gmail.com. We sure hope that you can attend and please invite your FAMILIES, FRIENDS AND COLLEAGUES TOO! 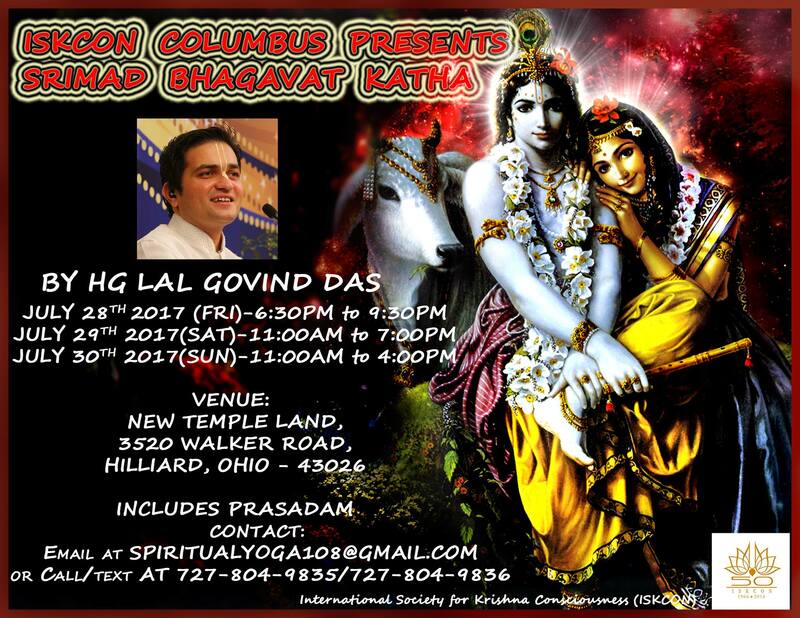 It is with great pleasure that we remind you that His Grace Lal Govind Prabhu will be visiting Columbus and will be speaking on Srimad Bhagavatam in HINDI from JULY 28 to JULY 30 ( Friday to Sunday). 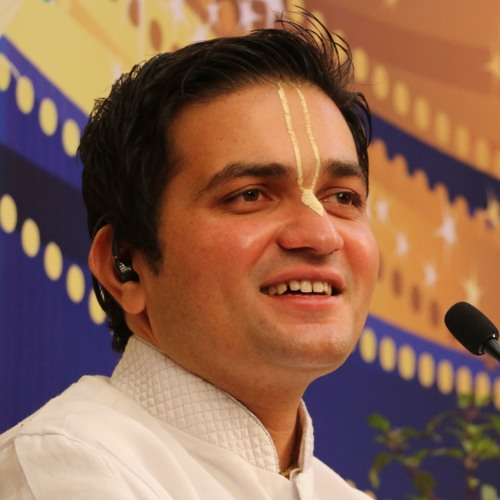 He is a wonderful speaker on the Srimad Bhagavatam which is interspersed with his melodious singing. 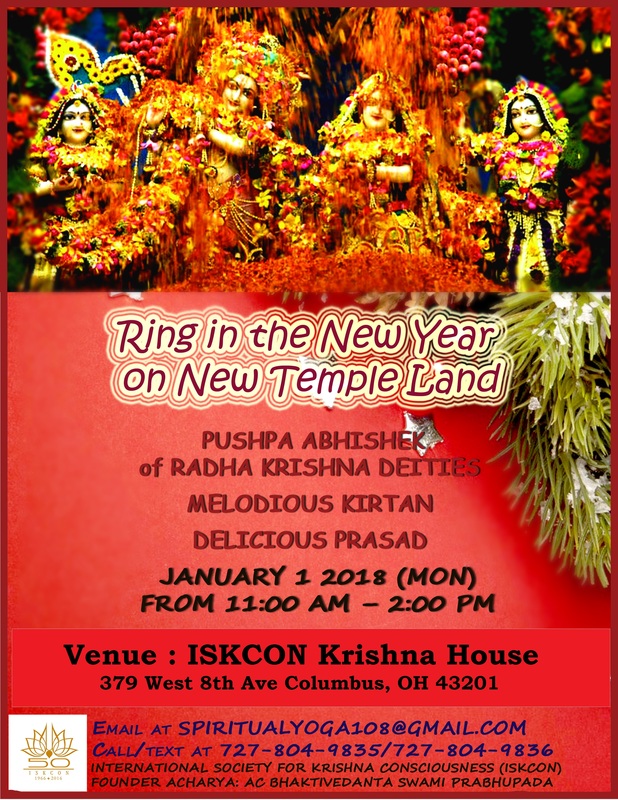 Prasadam will be served on all 3 days. He hails from a Vaisnav family in Gujarat and he grew up in Mumbai. Since childhood he has been reading Bhagavad Gita and Srimad Bhagavatam and singing bhajans and doing kirtan in ISKCON Juhu in Mumbai. 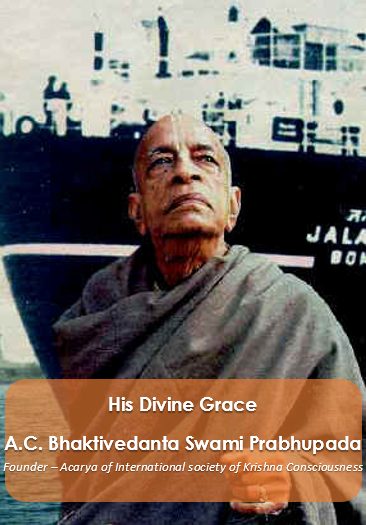 He is a disciple of HH Radha Govind Swami. His lectures on Bhagavat Katha wonderfully blend references from Srimad Bhagavatam, Bhagavad Gita, Ramayan, Mahabharat, Chaitanya Charitamrita, Puranas and other Vedic scriptures making lectures more real with surrealistic musical effects. 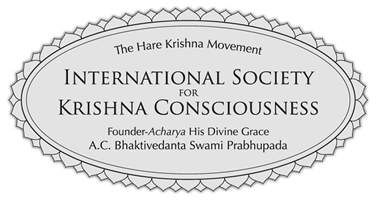 He has inspired thousands of people in Krishna Consciousness. He travels widely and has delivered lectures in countries in Asia, America, Australia, Europe and Africa.His lectures hold special attention and interest on internet with a startling attendance of over 2.1 million viewers on Youtube etc. He delivers lectures in Gujarati and Hindi with equal ease and dexterity.